This recipe makes about 10 regular-sized waffles. In a blender or food processor, pulse 1/2 of the oats. Pour into a large bowl with the remaining oats. Add the flour, brown sugar, baking powder, baking soda, cinnamon, salt and nutmeg. Mix well. In a separate bowl (or in the blender), mix the buttermilk, eggs, banana, butter and vanilla until well-blended. Add the wet ingredients to the dry ingredients and mix until just moistened. 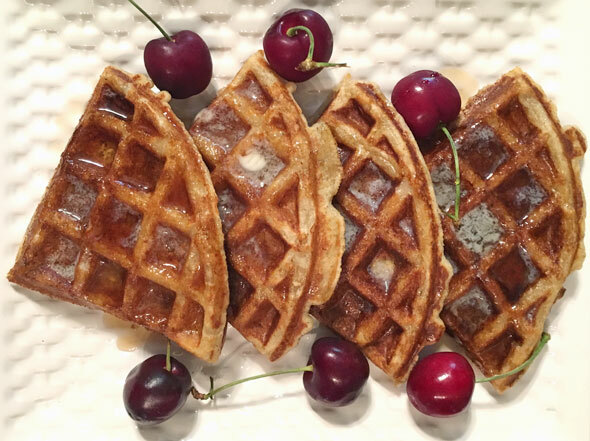 Serve with butter and maple syrup for breakfast. Or serve with sliced bananas and ice cream or whipped cream for dessert. 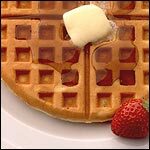 I have a heart-shaped waffle maker and this recipe makes 8 waffles. I would expect a standard round waffle maker to yield 10. Hope you like it. Enjoy! 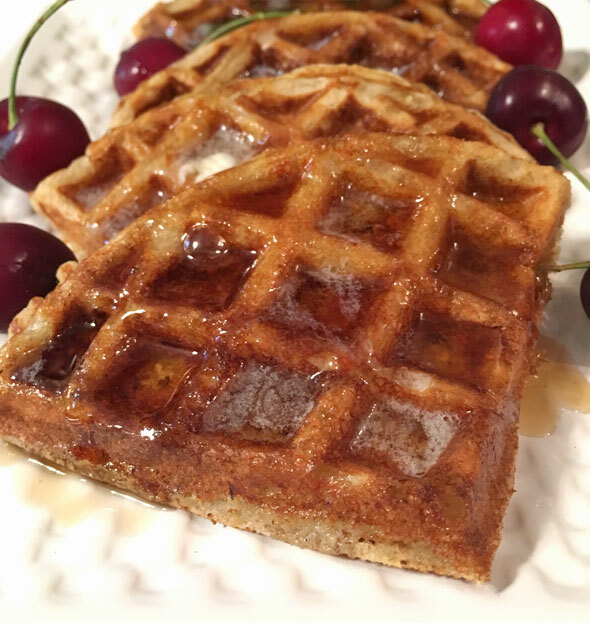 What do you think of Banana Oatmeal Buttermilk Waffles? I agree with the other comments... totally excellent. The only change I made was to add 1 tablespoon of canola oil, but that's because my waffle maker is old and needs more oil in the recipes so the waffles don't stick. 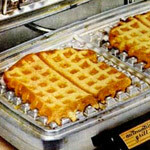 Over time, I've realized that a little bit more oil also helps the waffles be more crisp on the outside. These were the best waffles I've made! I didn't have a banana handy the first time but they still tasted great. 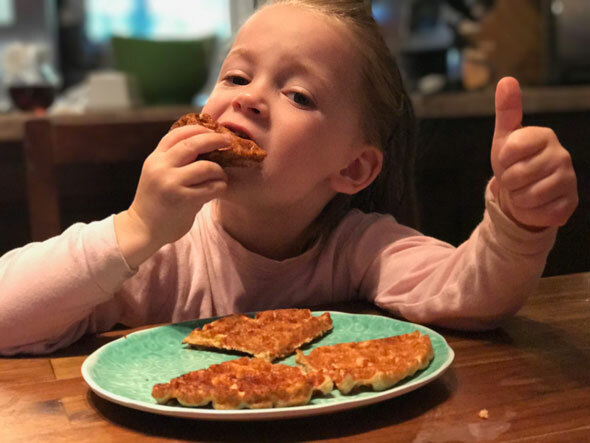 We loved these waffles. 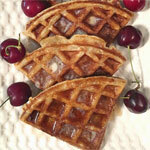 Great alternative to traditional waffles. Didn't change a thing. One of the best waffles we have had. I mixed half quick and half rolled oats with all other dry ingredients in a bowl and then added to blender to the wet part. Easy clean up. Topped with strawberries and banana, whipped cream with blueberry yogurt and maple or chocolate syrup. Very, very tasty. Just a nice blend of flavors that made you feel that you were getting a "tufer". Not only did it make an excellent waffle, I also felt as though I was eating hot oatmeal with bananas on top. There were great! I used yoghurt instead of buttermilk and made it all in the blender. I used 1/2 cup quick cook and 1/2 cup old fashioned oats. These waffles came out crispy but didn't really stay that way. Not often do you find something that tastes wonderful and is also somewhat good for you too. 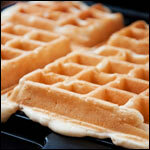 I do agree with idara's review in that these waffles were not very crispy at all, but they were still quite good. 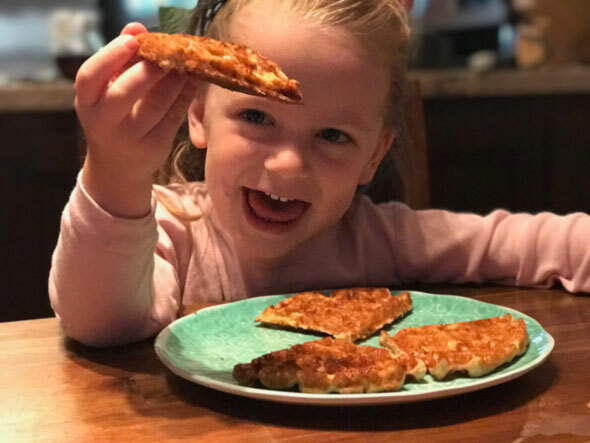 I did not have buttermilk, so instead used some soured milk I had been saving to use with my overripe bananas, and these waffles put them to perfect use. 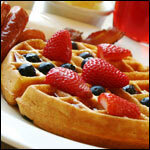 I also mixed a little powdered sugar with some cinnamon and sprinkled that on the waffles before serving. 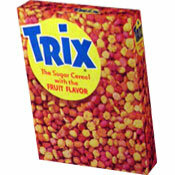 I'd make them again, even for company, perhaps trying to crisp them up a bit first either in the oven or my toaster. The buttermilk and bananas together are brilliant. They weren't as crispy on the outside as I liked but they had a very good flavor otherwise.